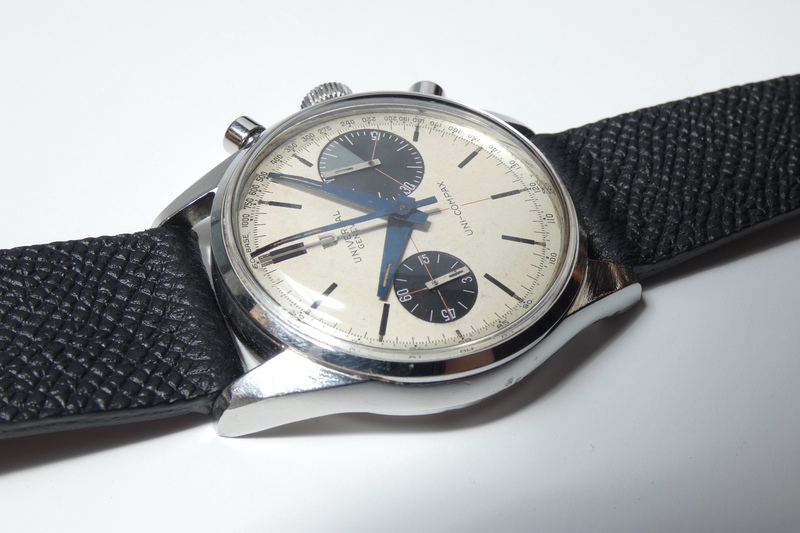 Offered for sale is an excellent example in original condition of a genuine Universal Geneve grail and one of the greatest vintage chronograph designs. 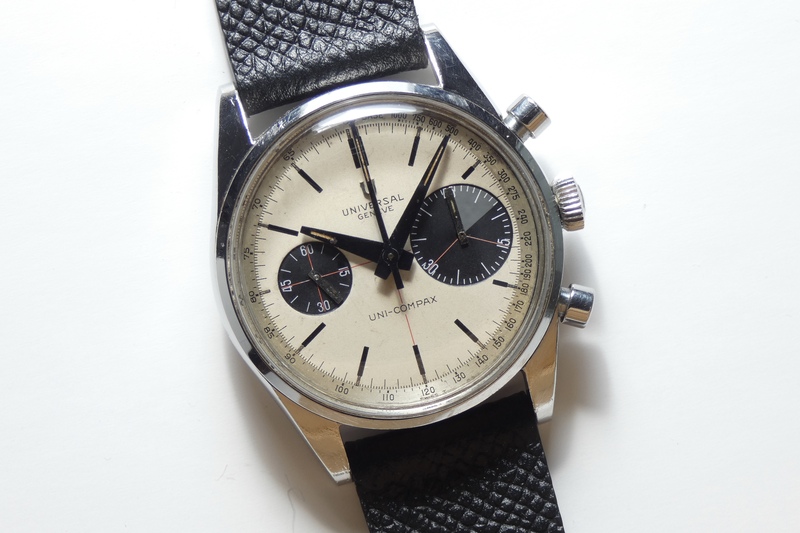 Dial: White dial with red printed crosshair, black text and silver tachymeter scale. 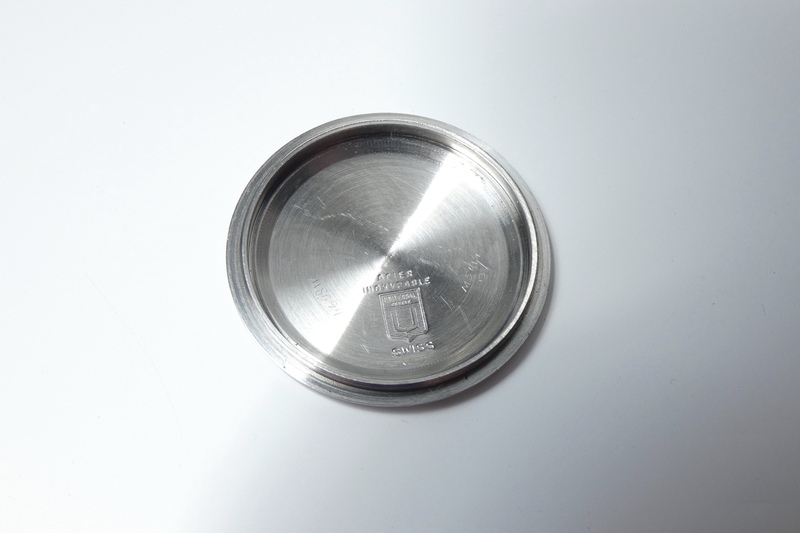 Applied silver logo. Black printed hour markers with original lume. Oversized minute register at 3 o’clock and smaller seconds register at 9 o’clock. 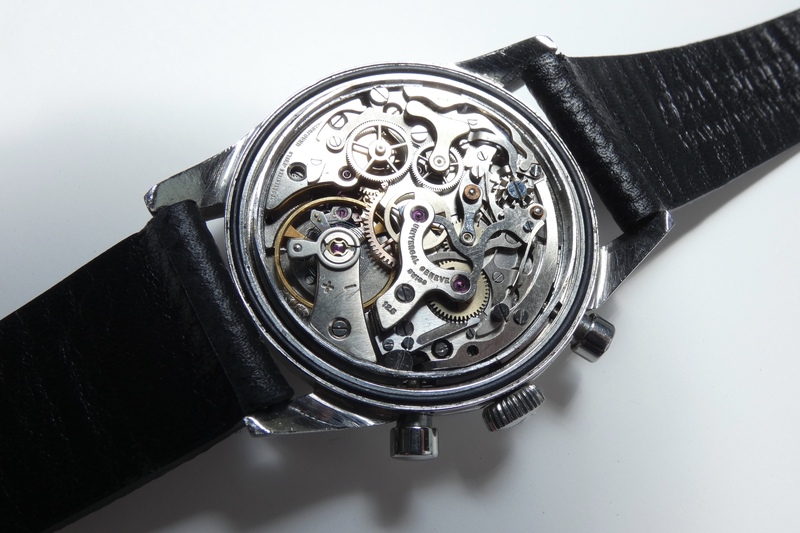 Hands: Original blued steel hands with original lume. 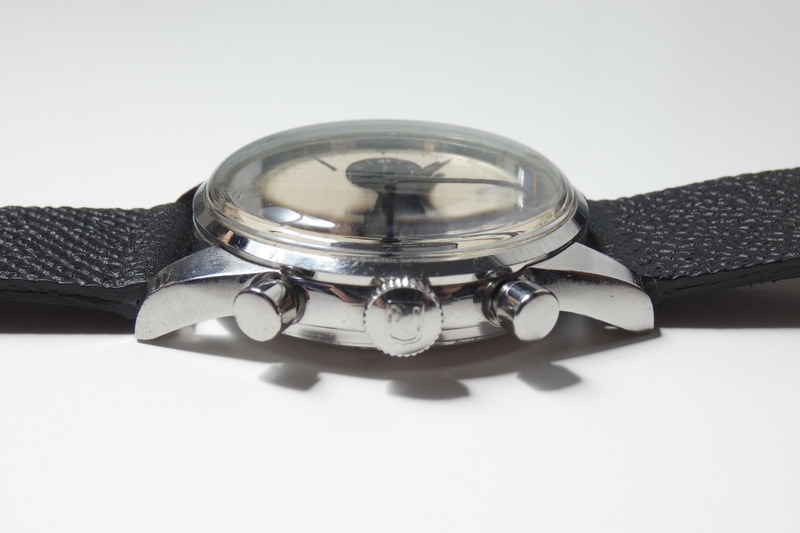 Original rectangular steel sub-dial hands with original lume. 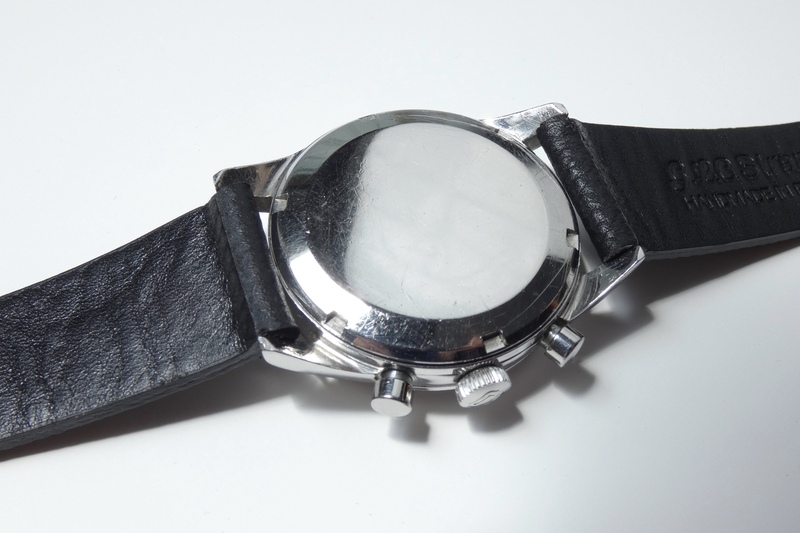 Case: 36.5mm stainless steel case. Original signed crown. Original pushers. Case reference and serial numbers present on case back. 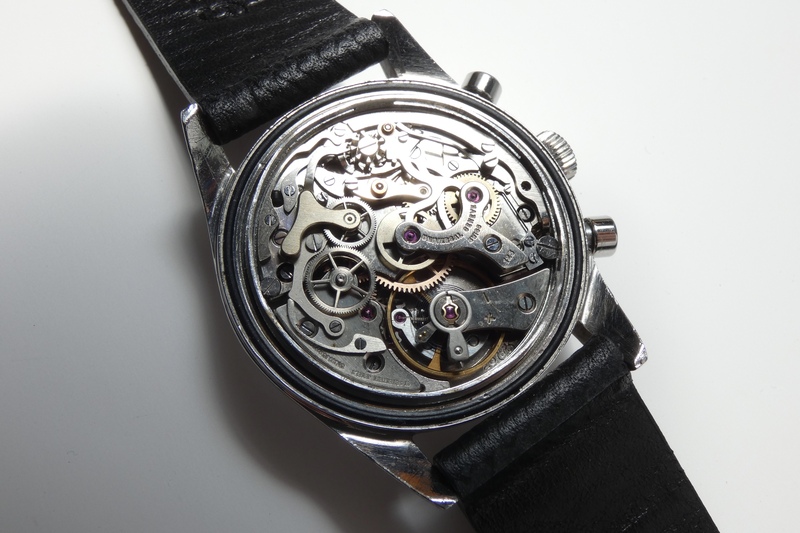 Movement: Universal Geneve Manual wind Cal 125 (Valjoux 23) movement. 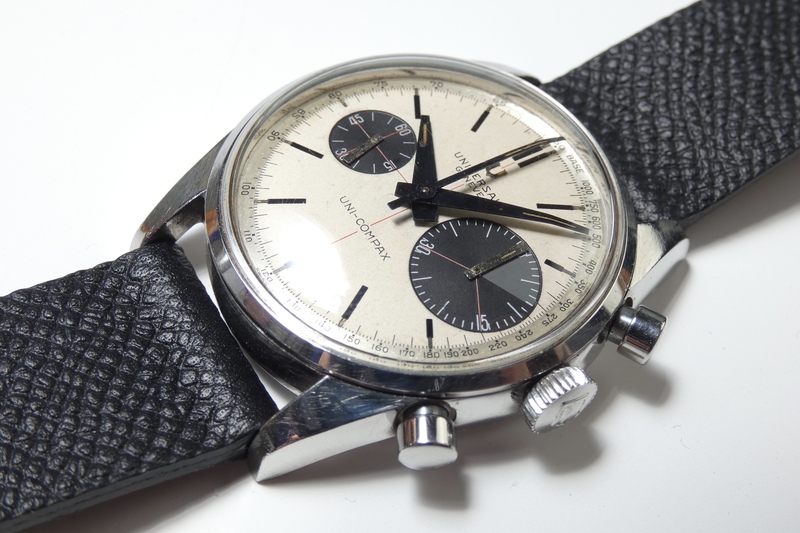 All functions, including chronograph, working perfectly. Asking Price: £20,000 GBP or best offer. Payment via bank transfer. Returns not accepted unless grossly misrepresented.